Take your journey with this richly textured and grippy all Jute & Natural Rubber Open Cell Yoga Mat. Suitable for many styles of yoga. Ideal for Ashtanga, Iyengar, Kundalini and Bikram Yoga. Passport YogaPatch: Vintage Indian postcard from 1904. Quote: "Not all those who wander are lost"
How about a little Inspiration while you YOGA? YogaPatch - [yoh-guh-pach] noun. A water/cleanser proof patch that is machine stitched into the upper left corner of each Exotica Yoga Mat with vintage photo images of India. Each patch has a unique quote is printed onto it that whispers a message of motivation and inspiration. To guide you on your personal yoga journey. 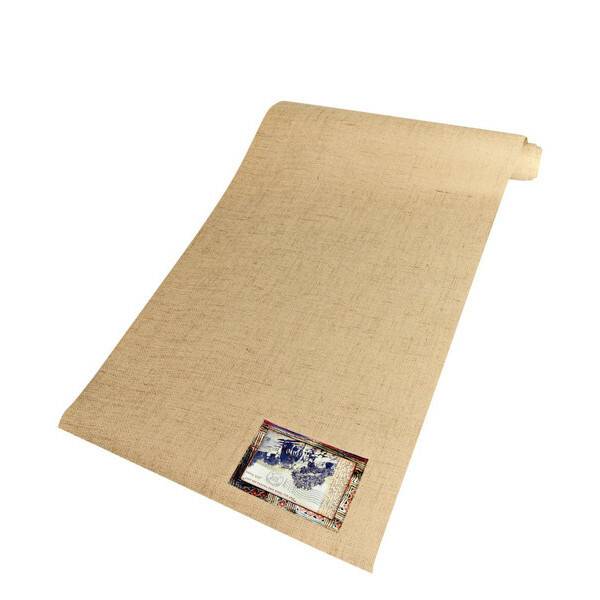 Pure Jute Yoga Mat is made from jute -- a natural plant fiber grown primarily in South East Asia. Jute is a highly versatile fiber, combining breathability with high tensile strength. This mat is created by combining jute fibers with natural rubber tree materials, giving the mat the great performance and &apos;&apos;stickiness&apos;&apos;. The result is a mat that looks distinctive, is highly functional, and yet has an eco-friendly footprint. With this mat, you will not be compromising on the sticky, cushioned texture you count on for your most strenuous yoga routines. These mats are 4mm in thickness which provides extra cushioning, and are 72&apos;&apos; long by 24&apos;&apos; wide.